As a parent, you take it upon yourself to teach your child about the various aspects of life, helping to guide them on a path that will prepare them in making important life decisions. 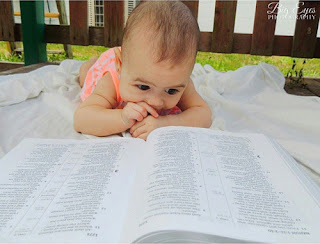 Children are especially impressionable at a young age, and by exposing your toddler to Bible truth as early as possible, the stories and Bible values become an invaluable part of their growth, allowing them to start to notice evidence of the Bible’s teachings in everyday life. Reading in general has many positive effects, and reading the Bible to your children is not only a powerful tool in spiritual development, but is also a pivotal part of strengthening the bond between you, your child and your faith. When you are getting ready to go on a Bible study or to the meeting, you have to gather all of your things. From your New World Translation Bible to pens, papers, bookmarks and more, this round up can easily become a tedious task. The Bookworm Leather Bible Bag is a bag that will not only securely hold your Bible, but also hold all of the supplies that you need. 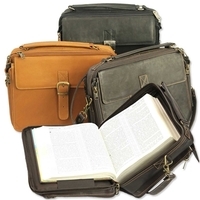 Bible bags are often purchased to protect your large print study Bible and keep it in its original state. Our bag combines utility with style to make for the most convenient carrier for your most precious book.